The Eurojet EJ200 is a military low bypass turbofan used as the powerplant of the Eurofighter Typhoon. The engine is largely based on the Rolls-Royce XG-40 technology demonstrator which was developed in the 1980s. The EJ200 is built by the EuroJet Turbo GmbH consortium. The EJ200 is also used in the Bloodhound SSC supersonic land speed record attempting car. 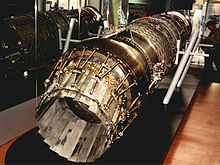 Rolls-Royce began development of the XG-40 technology demonstrator engine in 1984. Development costs were met by the British government (85%) and Rolls-Royce. On 2 August 1985, Italy, West Germany and the UK agreed to go ahead with the Eurofighter. The announcement of this agreement confirmed that France had chosen not to proceed as a member of the project. One issue was French insistence that the aircraft be powered by the SNECMA M88, in development at the same time as the XG-40. The Eurojet consortium was formed in 1986 to co-ordinate and manage the project largely based on XG-40 technology. In common with the XG-40, the EJ200 has a three-stage fan with a high pressure ratio, five-stage low-aspect-ratio high-pressure (HP) compressor, a combustor using advanced cooling and thermal protection, and single-stage HP and LP turbines with powder metallurgy discs and single crystal blades. A reheat system (afterburner) provides thrust augmentation. The variable area final nozzle is a convergent-divergent design. In December 2006, Eurojet completed deliveries of the 363 EJ200s for the Tranche 1 Eurofighters. Tranche 2 aircraft require 519 EJ200s. 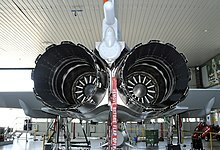 As of December 2006[update], Eurojet was contracted to produce a total of 1,400 engines for the Eurofighter project. In 2009, Eurojet entered a bid, in competition with General Electric’s F414, to supply a thrust vectoring variant of the EJ200 to power the HAL Tejas. After evaluation and acceptance of the technical offer provided by both Eurojet and GE Aviation, the commercial quotes were compared in detail and GE Aviation was declared as the lower bidder. On 20 January 2015 ASELSAN of Turkey and Eurojet Turbo GmbH signed a Memorandum of Understanding to collaborate on the EJ200 military turbofan engine programme. It is envisaged that the collaboration would produce a derivative of the EJ200 with thrust vectoring for use in Turkey's TFX 5th generation air superiority fighter programme. An EJ200 engine, together with a rocket engine, will power the Bloodhound SSC for an attempt at the land speed record. The target speed is at least 1000 mph. ^ Donne, Michael (5 March 1984). "Rolls to develop engine for fighters". The Times. Times Newspapers. ^ "Rolls Readies Demonstrator Engine For European Fighter Aircraft". Aviation Week & Space Technology. McGraw-Hill. 23 June 1986. ^ Lewis, Paul (3 August 1985). "3 European Countries Plan Jet Fighter Project". The New York Times. The New York Times Company. p. 31. ^ Donne, Michael (3 August 1985). "Why three into one will go; Europe's new combat aircraft". Financial Times. ^ "First Tranche II EJ200 Engine Delivered for Eurofighter Typhoon". defense-aerospace.com. Briganti et Associés. 16 July 2007. Retrieved 18 March 2017. ^ "India picks GE's F414 for Tejas MkII fighter". Retrieved 3 October 2010. ^ "Fighter aircraft engine comparison". defense issues. ^ "Rolls-Royce EJ200 Engine Data Fact Sheet". Rolls-Royce plc. 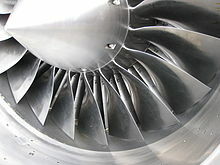 Wikimedia Commons has media related to Eurojet EJ200. This page was last edited on 3 February 2019, at 13:11 (UTC).